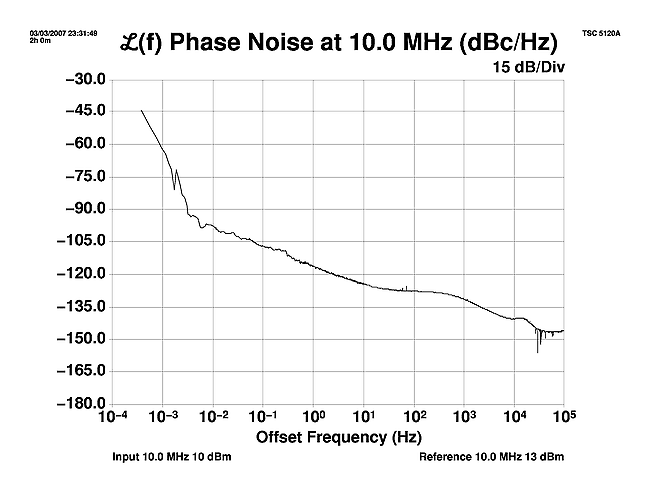 Low phase noise is an important element of RF amplifier performance. 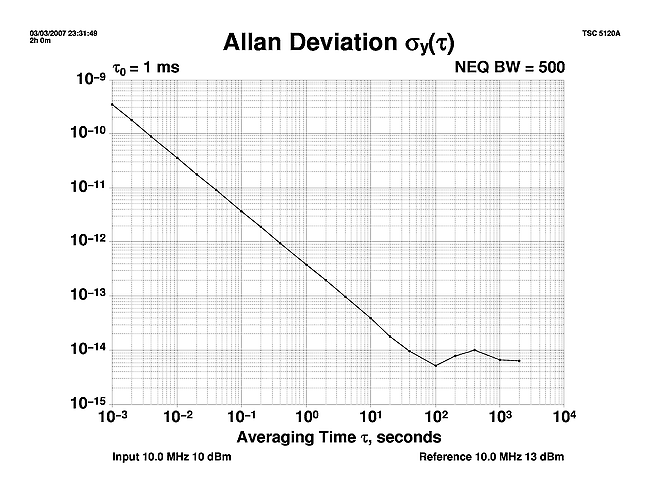 I recently tested three distribution amplifiers commonly used to route standard frequency signals around a laboratory. This page details the results. 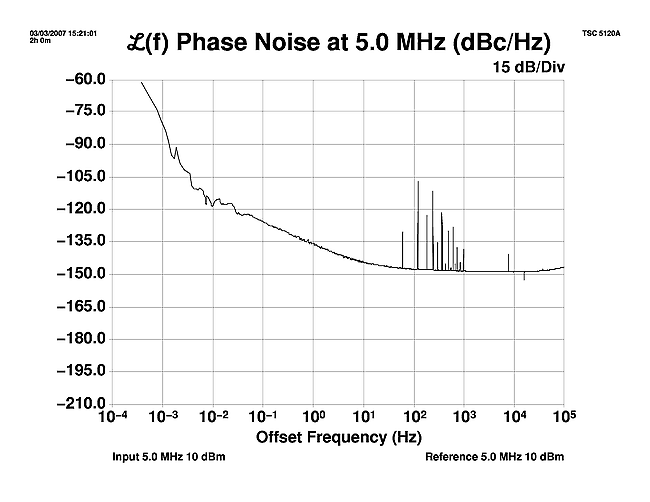 As far as I've been able to determine, my FTS-1050A quartz frequency standard is the lowest close-in phase noise source I currently have, though its though its noise floor is only so-so. 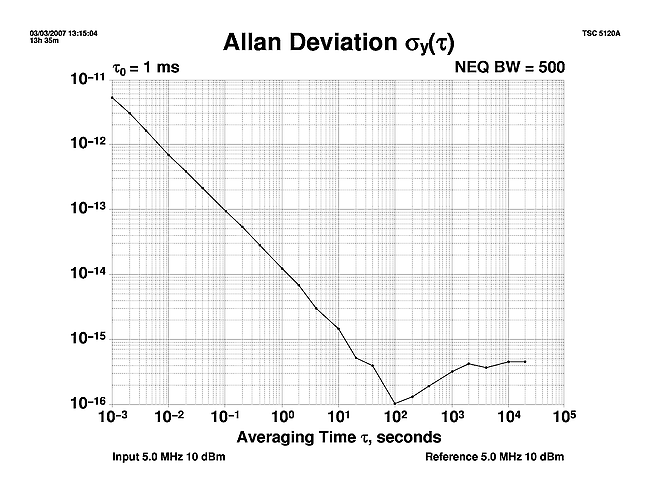 It has outputs at both 5 MHz and 10 MHz and was the source for all these tests. 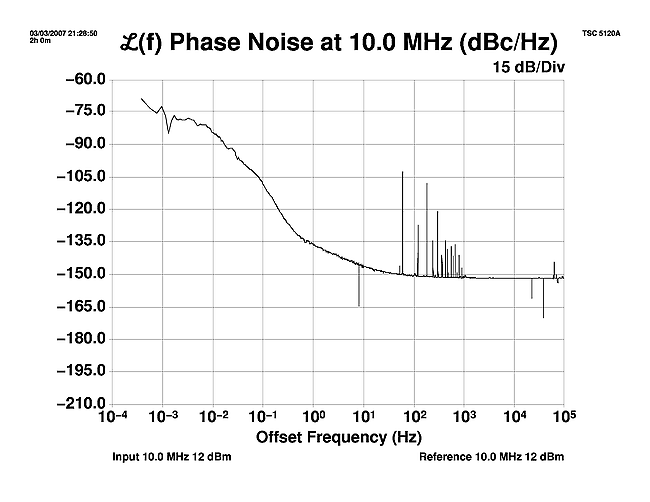 The FTS output was fed into a Minicircuits 2-way splitter. 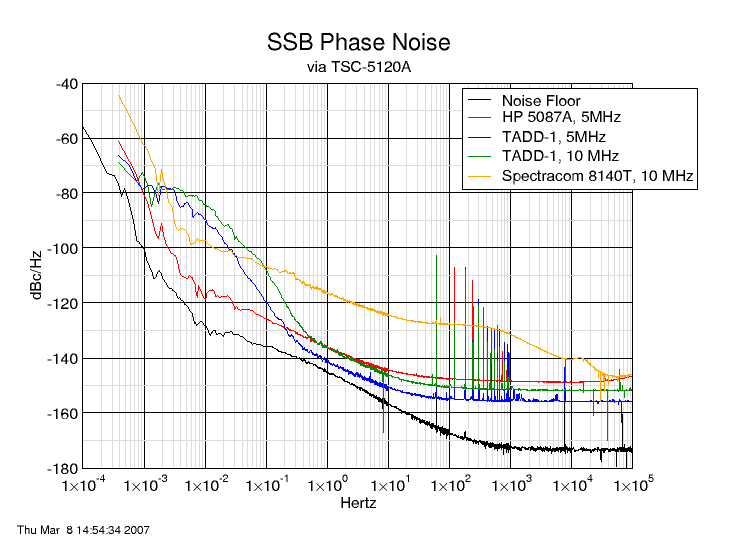 One output went to the reference input on the TSC-5120A phase noise measurement system, while the other output went to the input of the amplifier under test. The amplifier output was connected to the 5120A DUT input. 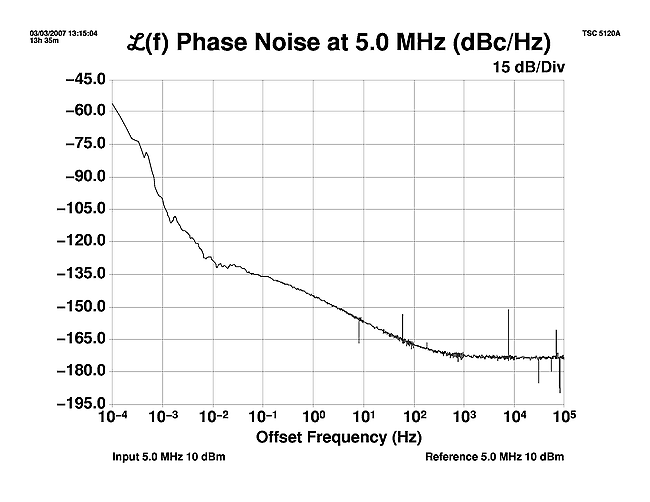 In theory, the phase noise of the RF source doesn't much matter in this sort of test, because that noise is common-mode to both the reference and DUT inputs. 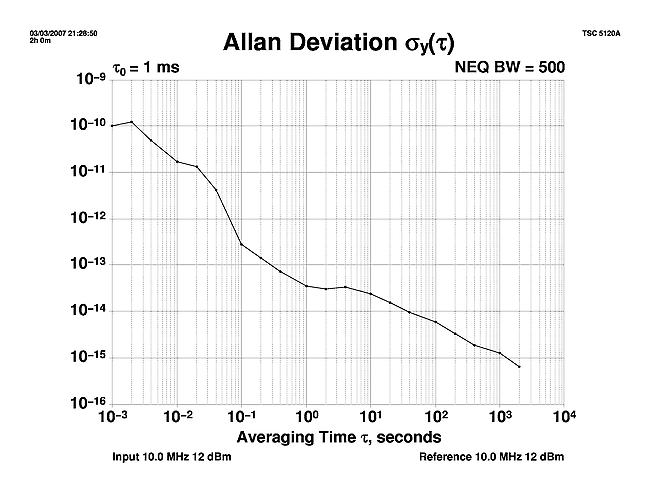 To see whether this was really the case, I did a test with both sides of the splitter connected directly to the 5120A. 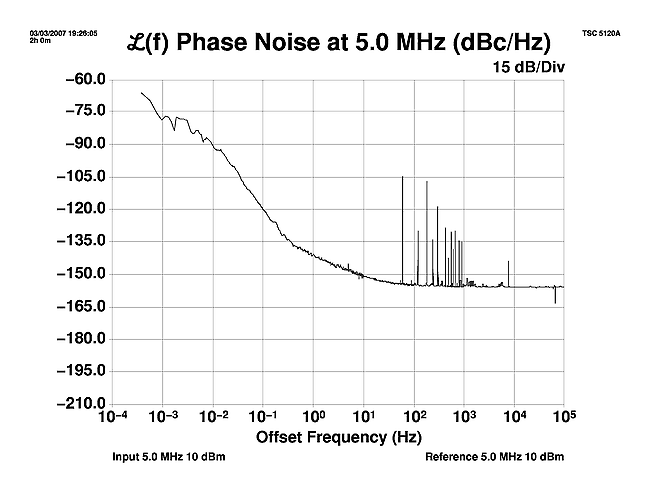 The results show that the measurement noise floor is consistent with the 5120A's quoted specifications, and is well below that of the amplifiers being tested.